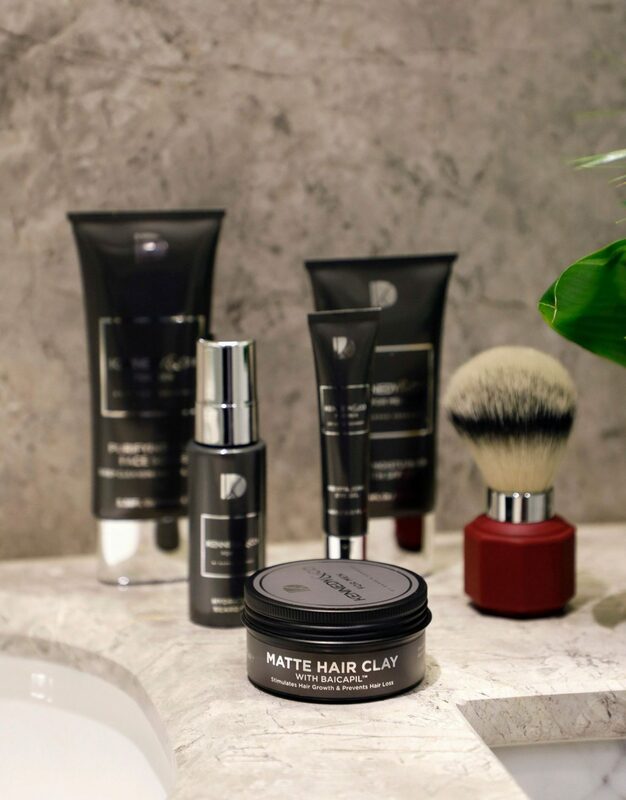 Kennedy & Co creator Darren Kennedy chats to McCauley Pharmacy Blog about the importance of a good skincare routine for men. Like everything in life, you can only reap the benefits if you put in the groundwork and your skincare routine is no different. However, when it comes to establishing exactly what we need to maintain healthy-looking skin, the choice can be overwhelming, and indeed time-consuming. From the latest wonder creams to a must-have magic serum, it can be difficult — and expensive — to filter out the purported secrets to a crystal-clear complexion. The truth is, there are no secrets, but instead it is about maintaining a simple, but consistent routine that is proactive rather than reactive, and is underpinned by healthy lifestyle choices. A lot of people will turn their attention towards their skin when it’s experiencing a bad patch such as a breakout or dark circles; turning to quick fixes that will soon be discarded or forgotten. Instead, I think of my skincare regime as being similar to a capsule wardrobe — comprising the essential everyday items that I can add to as I please. As we all lead increasingly busy lives, I also want a go-to routine that is quick but effective and doesn’t make me a slave to hyped-up grooming fads. It goes without saying, but what you put into your body is just as important as what you put on it, and drinking enough water throughout the day should form the basis of any skincare routine. It may seem obvious, but many of us can forget to do so, and without a sufficient supply of water, your skin will become dry and can feel quite tight. While it has been proven a myth that dry skin can lead to wrinkles, what it does cause are temporary dehydration lines that have the appearance of wrinkles and no one wants to unnecessarily amplify the ageing process. Step 1: Hydration Is Key. When it comes to the products I use on my skin, I repeat a simple process first thing in the morning and last thing at night. 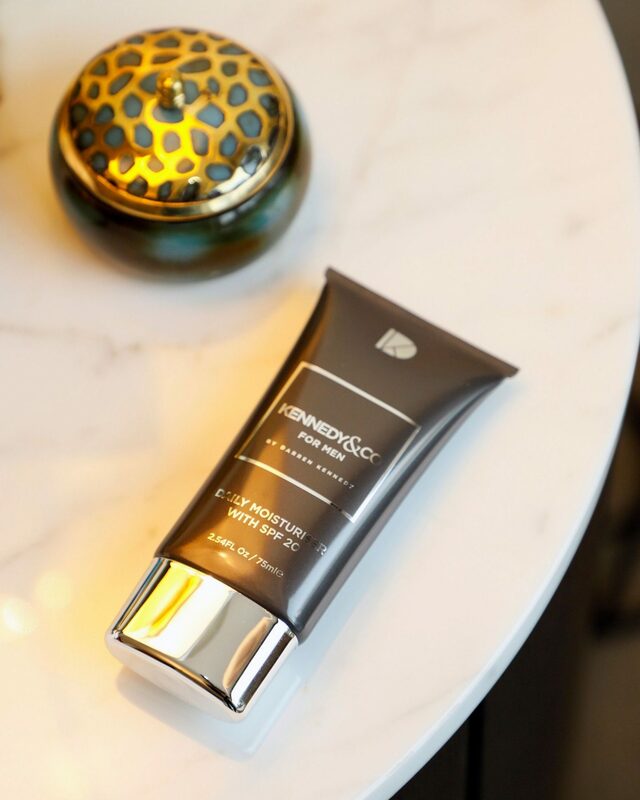 It’s important to cleanse the skin twice a day to remove any excess oil or residue that has built up and about three to four times a week, I will use my Kennedy & Co Purifying Peat Face Scrub (€12.95) to give my skin a thorough exfoliation. I keep it in the shower. When it comes to exfoliating, it is important not to overdo it, as you don’t want to strip your skin of its natural nutrients and oils. A few times a week is the perfect amount to rejuvenate your skin’s surface. The great thing about this scrub in particular is its key ingredient — peat — which is packed full of minerals and animo acids. It also contains Vitamin E which acts as a hydrator, healer and anti-inflammatory. It’s great for revitalising skin after a long day and leaves skin with a clean, polished effect. Step 2: SPF Is A Must! Next up, after cleansing, I use my Kennedy & Co Daily Moisturiser with in-built SPF 20. Containing active ingredients such as Pro-Vitamin D (the sunshine vitamin) and Vitamin E, which aid with repair and protection, it also contains Sodium Hyaluronate, derived from hyaluronic acid, which is a naturally occurring substance in your skin. It also happens to be one of the most effective ingredients in any skincare product and can hold up to 1,000 times its weight in water and is key to combatting fine lines and maintaining a well-hydrated visage. Perhaps the most overlooked element of many of our skincare routines is SPF, but rain, hail or shine, it is something we should never leave the house without. UV rays are still present in the winter months and are not masked by the clouds, so even if you’re sitting beside a window that doesn’t have UV protection, you need sun screen. Also, if you use a toner in addition to a cleanser, then SPF becomes even more imperative as most toners are alcohol-based so leave your skin readily open to exposure. I mentioned the importance of being proactive as opposed to reactive and not only is that the reason for wearing SPF everyday, but it is also the reason for using an eye gel every morning and night. The area around our eyes is some of the most sensitive skin on our bodies and is an immediate tell-tale sign of stress, a lack of sleep or maybe just a heavy night. My Revitalising Eye Gel contains many of the same ingredients as the moisturiser but with the added ingredient of stimulating caffeine, it is the perfect antidote to puffiness, dark circles and the appearance of fine lines. This is always the last thing I apply before going to bed and is an essential element of my routine. Caring for your skin shouldn’t be a chore and I have honed in on a triptych regime that hinges on doing the basics well for maximum results. Of course, if you have a beard, then adding an oil is a smart move for extra moisture and hydration. The most important thing when beginning your skincare routine is to actually sustain it. It’s not about waiting for a special event or viewing it as a remedy to a problem, it’s something that should be engrained into your daily routine, because life is the occasion. Kennedy & Co is available online and in selected McCauley stores nationwide. Save 25% on Kennedy & Co this month only! Darren Kennedy, Kennedy & Co.